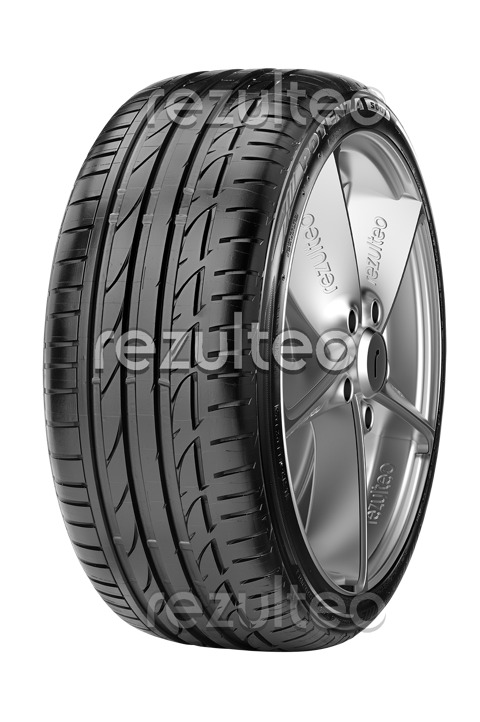 Ultra high-performance summer tyre, the Bridgestone Potenza S001 is designed for sports cars and powerful saloons. Driving precision and high-speed stability thanks to the central part of the tread. Grip with the road ensured by the large rigid shoulder blocks on the outer area of the tread. Reduced noise thanks to the even road contact and the design of the grooves and lugs. Enhanced handling thanks to the use of a highly rigid bead stiffener. Safety. Reduced risk of aquaplaning thanks to three wide circumferential channels that allow rapid water evacuation. Summer tyre designed for sports cars and luxury saloons.